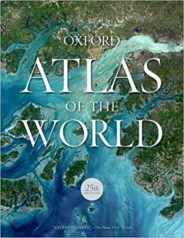 With 2018 nearing an end, we are excited to announce the longlist for the Oxford University Press Place of the Year. From a cave in Chiang Rai, to historical political summits, to young activists marching for their lives, we explored far and wide for our contenders. Now it’s your time to choose. Learn more about the locations and why they have been nominated for Place of the Year 2018 from our interactive map. Vote for your pick below by 2 November! Have a suggestion that didn’t make our list? Tell us in the comments! The Place of the Year 2018 will be announced on 4 December. Featured image credit: nasa-earth-map-night-sky-cities by 14398. CC0 via Pixabay.